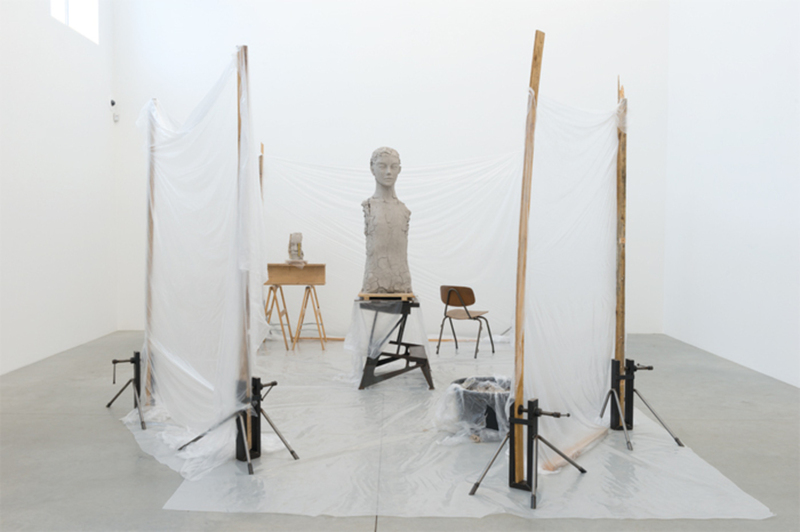 Mark Manders, Room with Unfired Clay Figure, 2014, painted bronze, wood, iron, plastic, painted ceramic, chair, painted epoxy, 8' 11 1/2“ × 14' 4 1/4” × 20' 4". It was in 1986 that Mark Manders began using the term “Self-Portrait as a Building” to describe the project he is still pursuing today: a never-ending accumulation of workssculptures, installations, and so onthat interact with or comment on one another. In his recent show in Antwerp, Manders presented the latest chapter in this ongoing story, another wing in the edifice of this ever-growing oeuvre.